Millions of people today suffer from high blood pressure and an assortment of different health issues and side effects that can accompany this condition. 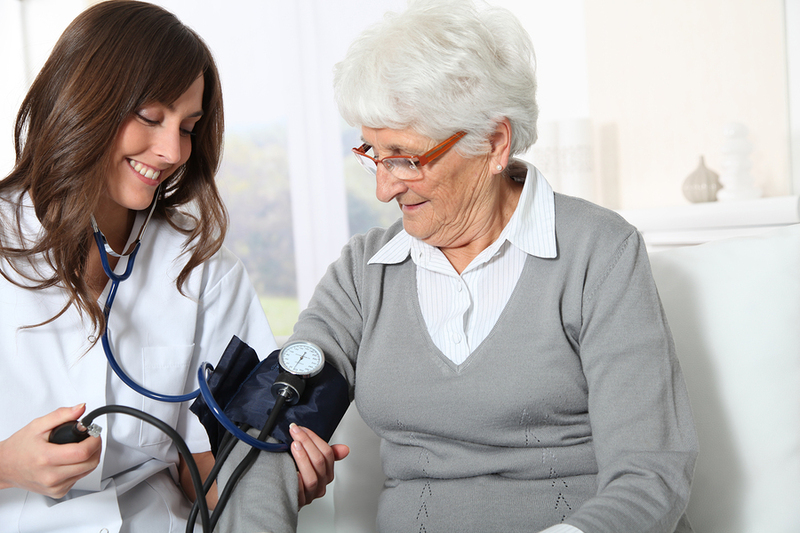 Unfortunately, seniors tend to be even more susceptible to issues with high blood pressure than younger adults. Unfortunately, most people who have high blood pressure don’t even know that they are struggling with this condition until they visit a doctor. While many different types of people are at risk for developing high blood pressure, seniors who live an unhealthy lifestyle are even more susceptible to issues with high blood pressure. This can include smokers, those with high stress, people with poor sleep habits, individuals who excessively drink alcohol and those who have a poor diet. In fact, poor diet is one of the biggest contributing factors to high blood pressure. In most situations, high blood pressure is a side effect of poor lifestyle choices, but it can also be a side effect of thyroid issues, gastric conditions and heart disease. Most people with high blood pressure don’t start seeing changes in their blood pressure rates until they are in their forties or older. While there are medications that can help with high blood pressure, there are also ways that seniors can naturally lower their high blood pressure with the right diet. Here are some tips on how you can help reduce blood pressure with diet. There is a lot of power that comes with caring for yourself and eating the right foods each and every day. While eating these foods won’t guarantee that seniors won’t have high blood pressure, they can help naturally lower blood pressure over time. These changes can also help with seniors who have Type 2 Diabetes, which often goes hand-in-hand with high blood pressure. It is also important that seniors with high blood pressure are getting their blood pressure numbers checked regularly. If seniors have stress-related health issues, they should also visit their doctor or a psychologist to learn about new ways to manage that stress. Blood pressure may be common, and lead to millions of deaths every year, but it doesn’t have to be a part of your senior loved one’s life. The more that seniors, their caregivers and their loved ones do to try to help manage high blood pressure, the better and healthier that they will be in the long run.